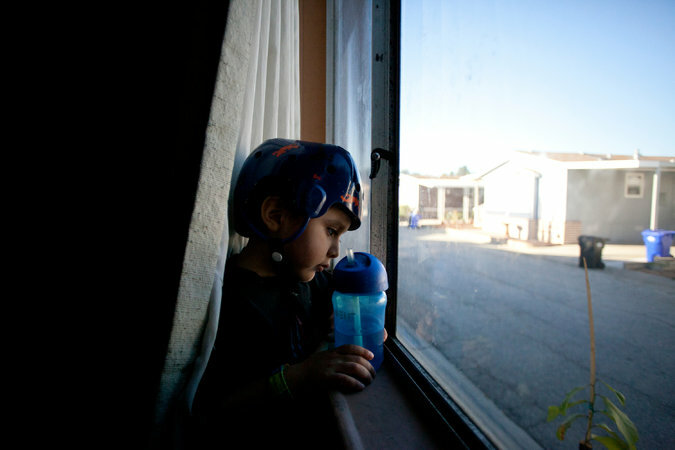 Andrew Rios’s seizures began when he was 5 months old and only got worse. At 18 months, when an epilepsy medication resulted in violent behavior, he was prescribed the antipsychotic Risperdal, a drug typically used to treat schizophrenia and bipolar disorder in adults, and rarely used for children as young as 5 years. Cases like that of Andrew Rios, in which children age 2 or younger are prescribed psychiatric medications to address alarmingly violent or withdrawn behavior, are rising rapidly, data shows. Many doctors worry that these drugs, designed for adults and only warily accepted for certain school-age youngsters, are being used to treat children still in cribs despite no published research into their effectiveness and potential health risks for children so young. Almost 20,000 prescriptions for risperidone (commonly known as Risperdal), quetiapine (Seroquel) and other antipsychotic medications were written in 2014 for children 2 and younger, a 50 percent jump from 13,000 just one year before, according to the prescription data company IMS Health. Prescriptions for the antidepressant fluoxetine (Prozac) rose 23 percent in one year for that age group, to about 83,000. The company’s data does not indicate how many children received these prescriptions (many children receive several prescriptions a year), but previous studies suggest that the number is at least 10,000. IMS Health researched the data at the request of The New York Times. The data did not indicate the condition for which these prescriptions were written. Doctors are generally free to prescribe any medication for any purpose they see fit, so some drugs can occasionally be used in unproven and debatable ways. But the volume and rapid rise in psychotropics such as anti-psychotics and antidepressants in children 2 and younger suggest a trend. But Dr. Gleason said that children with ages measured in months had brains whose neurological inner workings were developing too rapidly, and in still unknown ways, to risk using medications that can profoundly influence that growth. She said the medications had never been subject to formal clinical trials in infants and toddlers largely because of those dangers. Most experts suspected that the trend of medicating younger and younger children for suspected psychiatric disorders was trickling down to very young children. Last year, a report from the Centers for Disease Control and Prevention found that health care providers had given a diagnosis of attention deficit hyperactivity disorder to at least 10,000 children age 2 or 3 and then prescribed medications such as Adderall outside American Academy of Pediatrics guidelines. Prozac is approved by the Food and Drug Administration for depression in children 8 and older and for obsessive compulsive disorder in those age 7 and older. Most anti-psychotics, which treat schizophrenia and bipolar disorder, are indicated only for children 10 and older. Risperdal is approved for children as young as 5, but only for irritability associated with autism. Finding specific examples of such children taking the drugs can be difficult, because of family privacy concerns or because the practice remains controversial. IMS Health records but does not release the names of prescribing physicians. This entry was posted in Corruption, cyborg, Psychology, Psychotropic Drugs. Bookmark the permalink.